Distraction rates are the highest in the last 10 years. Smartphones have made it easy for people to stay connected at all times. 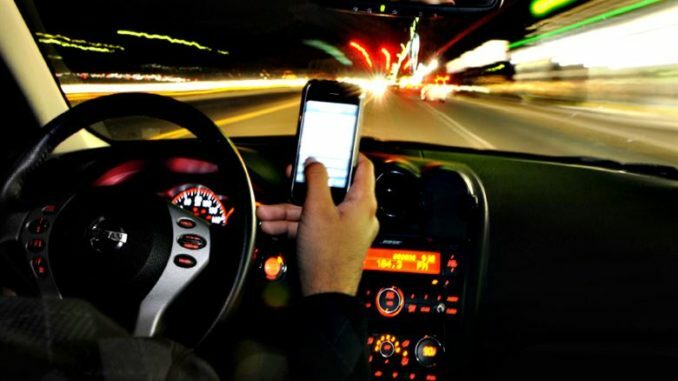 But they can create a life-threatening risk if a person decides to check their social media, email, text messages or any other mobile application while driving. Cell phone distraction rates are the highest they have been in the last decade, according to data from the National Safety Council. As many as 40,000 people died in motor vehicle crashes in 2016, research shows. Jeff Hayley, the founder of the Distracted Driving Foundation, created the non-profit organization to bring awareness to laws that restrict cell phone companies from improving technology. Hayley said the number of car accidents linked to distracted driving is because of the lack of technology. “Why don’t we improve technology? The answer is because no cell phone company can make more money if they improve features in their phone and so they won’t do it,” he said. A law requiring improvements from all companies would be the best way to ensure technology keeps progressing, he added. The National Safety Council estimated 4.6 million roadway users were injured seriously enough to require medical attention, making it a 7 percent increase over 2015. The data revealed 2016 may have been the deadliest year on the roads since 2007. Ben Chasen, a personal injury lawyer at ChasenBoscolo, said drivers are aware of the risk. “People know that texting and driving is a dangerous activity, whether or not people care that this is dangerous is a different question,” he said. Texting and driving has received national attention through awareness campaigns from major companies, but one state took a major step in cracking down on texting while walking. Hawaii passed a law in August that prohibits pedestrians in the state capital who cross a street or highway while using a mobile device can be hammered with a fine of up to $35 for their first offense, according to the law. Distracted walking involving cell phones was responsible for an estimated 11,101 injuries between 2000 and 2011, according to 2015 data released by the National Safety Council. Lauren Thompson, a law student at North Carolina Central University said she supports the legislation. However, others think that move is too extreme. Hayley said improving cell phone technology will make it impossible to text while driving. “In other words, we can put into every telephone technology that will make it impossible to compose a text while walking you’ll have to stop in order to compose a text. Credit: National Highway Traffic Safety Administration. 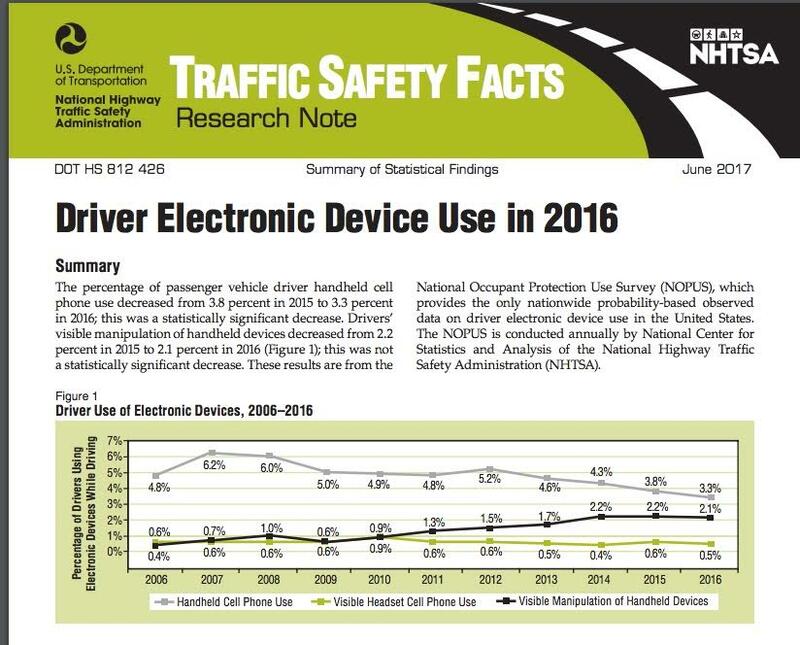 The U.S. Department of Transportation composed a report in June 2017 about driver device use. Cell Control is an organization that works to end distracted driving. It offers four solutions to end distracted driving for new drivers. 1. Silence the phone while driving to avoid temptations to respond to a text or call. Put your phone on vibrate while driving. 2. Lock phones with a passphrase that’s a reminder not to text or call while driving. For example, a passphrase of “NoPhoneOnRoad” or a similarly short and sweet passphrase will mean that drivers who attempt to text and drive won’t be able to ignore the fact that they are doing something dangerous and prohibited. 3. Put phones in the trunk. Locking the phone in a place where it can only be reached after parking is a simple but potentially effective solution to texting and driving. 4. Use distracted driving prevention technology. Use technology to fight technology. Cellcontrol smartphone application can disable the ability to text, email, surf the web, play games, Tweet, post to Snapchat and Facebook, take selfies and much more while driving a vehicle. 911 is always allowed. The application is also vehicle motion activated which will not allow a driver to check applications until they have reached their destination. Is social media dangerous for teens?